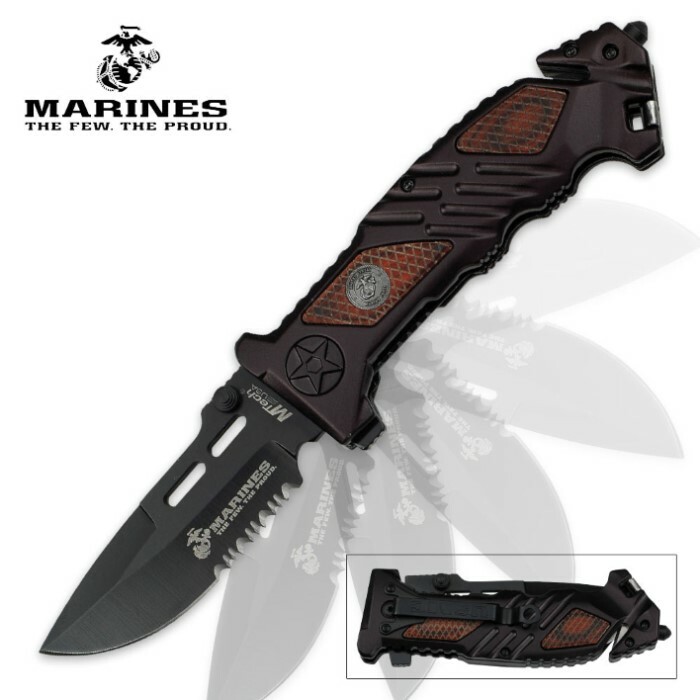 USMC Brown Pakkawood Inlay Spring Assisted Opening Pocket Knife | BUDK.com - Knives & Swords At The Lowest Prices! 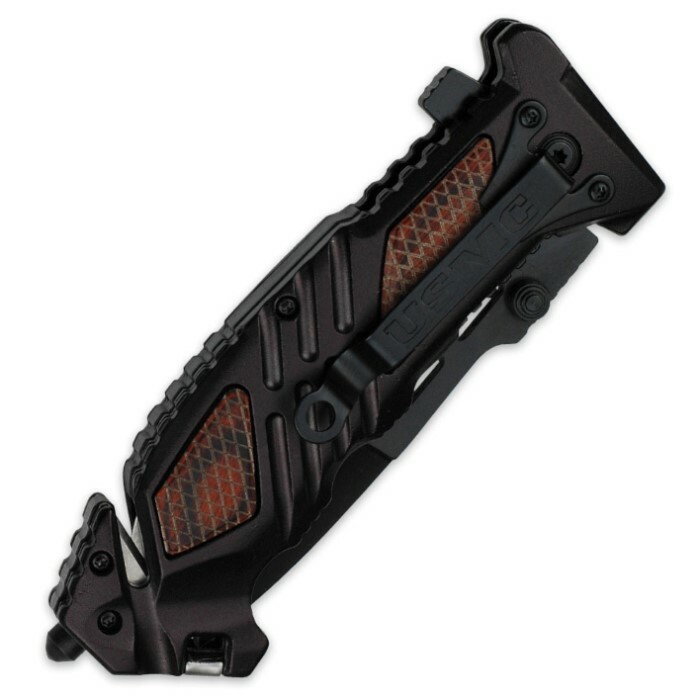 Any U.S. Marine would be proud to carry MTech’s new spring assisted folding knife! 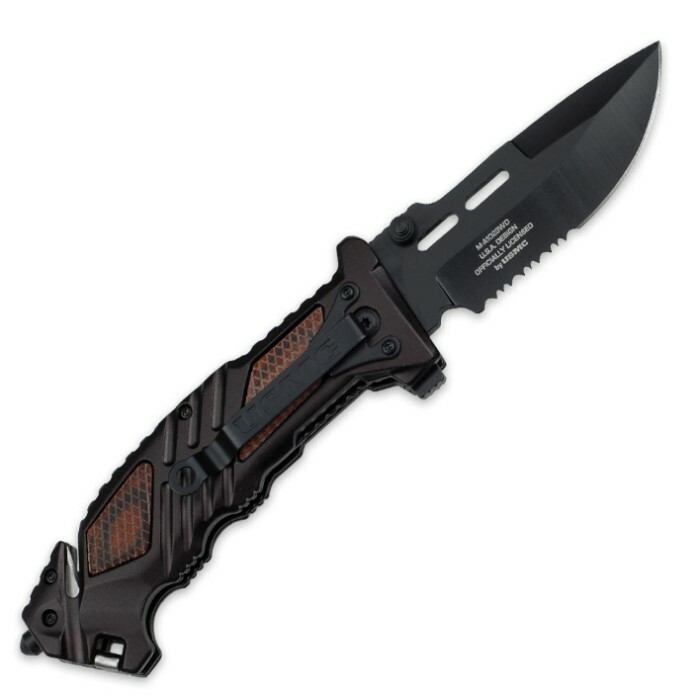 This knife is something they know that they can use even for the toughest missions. It has a 3 1/2” stainless steel half-serrated blade with a black finish. The handle is of durable brown aluminum with beautiful Pakkawood inlays. It features a pocket clip so it can be carried with ease and a seatbelt cutter for emergencies. This folding knife is 5” closed.